Whole30 Day Zero: 5 Steps for Making Your Whole30 a Success! Day Zero: Getting Ready for the Whole30! Are you as excited as I am to officially start the life-changing Whole30 Program developed by New York Times best selling authors Melissa and Dallas Hartwig? Yes! Let’s do this! But first … be sure to subscribe to my Whole30 Challenge to get my free weekly Whole30 Meal plans, as well as lots of recipes and encouragement to help you on your 30-day journey to better health! And second … Have you done your homework? As you’ll notice below, it’s the first step in ensuring your 30-day journey is a success! Whole30 Day Zero Step 1: First Things First! In order to transform your health with Whole30, first you’ve got to learn the basics of the program. Remember, I do not provide any of the details about the Whole30 program, that’s all available via the Whole30 Website. I’m simply here to support you with encouragement and lots of my favorite recipes and meal plans to help make your 30-day journey a delicious success! 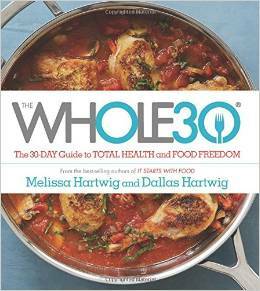 So be sure to thoroughly read the following quick overview posts from the Whole30 website, or even better grab a copy of their New York Times Best Seller, “Whole30: The 30-Day Guide to Total Health and Food Freedom,” which provides everything you need to know about the Whole30 program in detail, as well as tons of delicious recipes with beautiful color photography! • Download their helpful free resources, particularly the shopping list (see step 2 below) and meal planning template since these give a great overview of the types of foods you will want to fill your plate with, and the types of food you will need to avoid during the 30-day program. • Read “How to Survive (and Thrive) on Your Whole30 Journey” for lots of helpful tips on making your 30-day whole food journey a whole lot easier! • After reading all of the above, if you’ve still got questions about what you can and can’t eat on Whole30, then be sure to check out “The Official Can I Have? Guide” to Whole30. And last, but certainly not least … be sure to subscribe to my Whole30 Challenge! To make life during Whole30 a whole lot easier and more delicious, I’ve created exclusive new Whole30 meal plans and recipes just for my Whole30 subscriber friends. Just when you thought your homework was done … I know cleaning out the kitchen may sound a bit boring, but think of it like cleaning out your closet in anticipation of a whole new wardrobe. In fact, if you stick to this 30-day whole food program with 100% zeal, you may very well be in need of a new wardrobe when you’re done, or at least a new belt. Helpful Tip: Be sure to print out the Whole30 Program Rules and have this page handy as a reference while cleaning out your pantry and fridge, since this document provides a good overview of the types of foods you’ll need to avoid while on the 30-day program. Once you’ve cleared a little space in your pantry and fridge, you’ll want to be sure to fill the void with some super healthy Whole30 staples. Whole30’s helpful shopping list provides some great ideas for how to stock your pantry and fridge with lots of healthy and delicious Whole30 fare. Of course, save the major grocery shopping for when you’re ready to get started with the program. Remember, when you subscribe to my Whole30 Community, you’ll receive my free Whole30 meal plans and recipes to make your 30-day journey a delicious success! Yes, I’ll be providing subscribers with brand new weekly Whole30 meal plans, but let’s face it – you may not like everything I do. That’s why having options is good. Options will keep you from straying off the Whole30 straight-n-narrow. So if you’re on Pinterest, check out my Whole30 Board for lots of great Whole30 recipes, download the free Whole30 Meal Plans from previous Whole30 Challenges located below and of course, make sure you’re a subscriber so you don’t miss my free weekly Whole30 Meal Plans and recipes to help you make your 30-day journey a healthy success! Whole30 Day Zero Step 4: Think Positive! Never underestimate the power of positive thinking! It’s okay to feel nervous about taking this challenge. In fact, if you’re not a little nervous, somewhat apprehensive, or having some level of self doubt about what’s in store, then maybe you’re not taking this too seriously, or you’re superhuman, or of course you’ve sailed through Whole30 with gold stars and you totally need to let us know we’re just being big babies about it (in a kind uplifting manner)! But seriously, let’s just be upfront and face the facts right now … unless you’re a robot, you’re probably going to experience periods of time during this 30-day journey where you feel like a big-ole bag of mixed nuts (I picked the nuts analogy intentionally) – with conflicting emotions and feelings shifting from day to day and hour to hour as your body and mind try to come to grips with the radically-healthy changes you are making. The key to success and happiness is … don’t give in to negative talk! Instead, strive to keep your thoughts positive, pure, hopeful and even better – prayerful! Talk to God about your feelings and emotions. Ask Him for strength. He cares about YOU! So seek Him in pray and ask for His strength and power to feel better so you can better serve others. And when those negative feelings and thoughts begin to surface … buckle down and strive to replace them with a positive outlook and a can-do spirit! Here are some of examples of how to turn that frown upside down. HOW YOU THINK directly impacts HOW YOU LIVE! So think positive and surround yourself with others (like us) who are thinking positively too, and are ready to cheer you on! Whole30 Day Zero Step 5: Get Connected! Speaking of surrounding yourself with “positive peeps” (my kids told me not to say that because it’s not cool anymore), it’s really important to get connected! Having a support network will make this program not only a whole lot easier for you to stay on target and keep that positive motivation flowing, but it will also make it a whole lot more FUN! 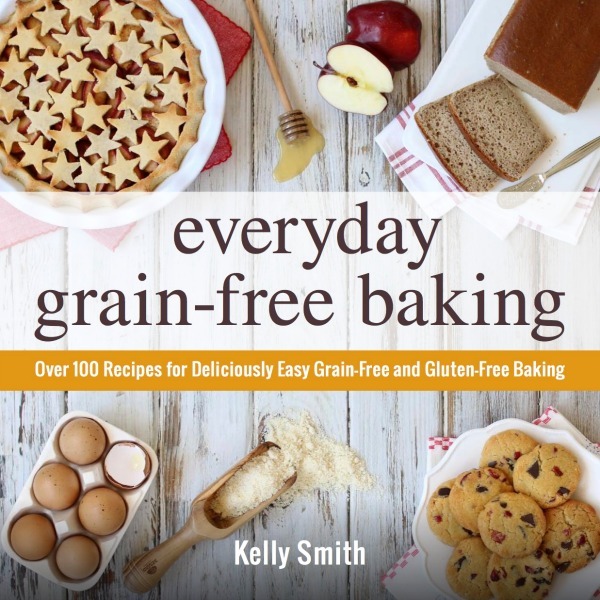 Of course, you’ve got me here dishing out weekly posts, recipes, meal plans and encouragement. But even better is to get a flesh-n-blood friend or family member to join you. Two are better than one because they can help each other (Ecclesiastes 4:9-12). Truly – nothing beats a good friend. Friends help friends stay accountable and motivated to stay on track with their goals – and to keep smiling! Whole30 Meal Planning Made Simple! If you’d like to get a jumpstart in meal planning, or simply want more recipe options to choose from, be sure to join my Whole30 Community for the latest Whole30 meal plans and recipes. For even more Whole30 recipes be sure to follow my Whole30 Pinterest Board and The Nourishing Home on Instagram! Alrighty, friends! That’s my five “Whole30 Day Zero” tips for getting ready for a successful Whole30 adventure! Remember, these steps are provided to help you get prepared for a successful and FUN Whole30 Journey! How are you feeling about starting the Whole30 Program? Are you excited, nervous or a little of both? Share your thoughts below and let us encourage you! Hey, you Whole30 veterans out there … If you’ve successfully completed the Whole30 Program, please share your helpful “Whole30 Day Zero” tips with us? We could always use more good advice and encouragement! *Disclosure: This is not a paid endorsement of the Whole30 program. After careful consideration and prayer, I decided to personally take the Whole30 challenge since it’s a proven method for improving health and wellbeing. And because I care about you, I’m inviting you to join me in taking the 30-day Whole30 challenge. Please note: The only affiliate link in this post is an Amazon link to the book. Should you choose to purchase the book via the link above, The Nourishing Home will receive a small commission at no additional charge to you. And last but certainly not least, I am not a health professional, so nothing in this post, or on this site, is intended to replace the advice of a physician. Please see my full disclosure for more details. Thank you! How to make The Ultimate Pico de Gallo! I feel like a little kid awaiting a trip to Disney Land. I am so excited to start the Whole30 program. And it’s such a blessing to have your advice and tips. Thanks, Kelly! Excited and nervous about starting the challenge, but looking forward to it. I am so tired of the issues I have with food. Thank you so much for all you are doing for us, to help us be successful. Thanks for doing this. I need another Whole 30 reset. Last July I completed my first Whole 30 and by September I lost 17 lbs. Somewhere between then and now I gained it all back and more. I remember the first couple of weeks being difficult and I had bad headaches but after that it wasn’t so bad. Really the cravings go away and I found as long as I had something to replace what I normally ate it didn’t bother me. My thyroid labs returned to normal (I was hyperthyroid and diagnosed with Graves) and felt great when eating Paleo. Eggs are an allergen for me so my food planning takes a bit of extra effort. Eating leftover dinners for breakfast is a big help in my food planning. The timing of this couldn’t be better. I have been contemplating doing the Whole30, but I kept putting it off. Thanks for helping to motivate me. I am ready! I’ve been contemplating doing Whole for the last month and can’t ever get to taking the plunge. Thanks so much for doing this because this is just what I needed! Today my stomach hurts so much from eating junk yesterday after taking steps to clean up my diet. I just have to start! I went shopping yesterday and we have sort of begun. I think that that organic food is delicious, especially milk products. We are excited to hit this head strong on Monday. Thanks for your help in getting us started, I can’t wait to see all of your recipes and am heading over to pinterest right now. Well, now that I have read the rules, I guess dairy is not allowed. I was planning on starting this challenge on the 6th, and as I was preparing myself for this journey, I came across your website and was so excited to see that you are doing it and we are starting at the same time! I am doing this for a few reasons: rid sugar cravings, help thyroid problem, and really figure out what types of foods my body reacts to. I had the bloodprint 88 test done and it showed that my body reacted negatively to 23 foods! I am a very healthy eater and some of my favorite foods like beans, quiona, bananas, greek yogurt and eggs for example showed up on the negative list and that was such a surprise to me! So I am really excited to see that if I eliminate these foods plus others, how my body will feel. I am nervous for a couple things going into this challenge, but I think my main issue will be eating only 3 times/day. Right now my body is used to eating 5 small meals a day. I snack on veggies in the morning and an apple in the afternoon as a light snack between meals. I am also worried about craving sweets. I eliminated using all processed sugars a while ago but have been using honey/maple syrup as a sweetener. My husband is going to attempt to do this challenge with me but it will mainly be more about him eating the same dinner as me and supporting me when I am craving chocolate. He already knows that if he wants to eat deserts or carbs, he needs to go in a different room. Another challenge will be sticking to this diet while going out to eat or being invited over to dinner. A couple times this month we will be out of town and will have to eat out. I already have the guide printed off and am prepping myself on how to order foods. Anyways, I am VERY excited and nervous to start this challenge! Just this morning my husband and I were reading over the guidelines again and he said I am crazy for doing this. We live in WI so giving up dairy/cheese sounds crazy to most people! But, that provides me with motivation to push myself to do this and prove to myself that I can handle this challenge! I can’t wait to receive emails from you with meal ideas and encouragement. Thanks for putting this together! I am very excited and nervous at the same time because I’ve always struggled with follow through. Can’t remember ever completely finishing something I’ve wanted to do like this. Sad, huh? I get so pumped and then lose steam. I am grateful for your planning and encouragement and will be ecstatic to truly commit to and finish this race! The resources are a great help. Blessings! I really appreciate your taking all the guesswork out it how to do this healthy diet by providing menus and grocery lists. Being told what to prepare will help me so much!!! Besides, I love your recipes and know that I’ll be able to serve them to my family without them complaining. Anyway, I’m so excited to begin and look forward with eager anticipation for your menus, etc. tomorrow. THANK YOU for all you’ve done already! I did wheat belly programme and all my cravings went away. If I understand this whole30 programme it is to clean and heal your body? I think I will get the book to better understand before we get started on Monday 😉 Thanks for all the info you are passing on to us Kelly. Hi, Jo-Anne. If you’re familiar with Wheat Belly, this will be slightly more restricted approach, but one I am sure you will do well with. Great idea to purchase the book, it really contains so much more information than the website and makes it a lot easier to understand the program and better follow it. Plus it has a lot of terrific recipes and meal ideas. 🙂 So glad you’re joining us for Whole30! I’m looking forward to trying this with you. In fact, my husband has been eating this way (plus following Sarah Ballantine’s “Paleo Approach” )for about 9 months now. He has gone from being the sick, unhealthy one, to feeling great and leaving me in the dust. I can’t wait to see the changes this brings and I’m grateful for all the work you have put into this already! It’s what I needed to take the leap. Any tips for me if we have a 5 day trip (flying to Florida) planned in two weeks? Thanks!!! I need to do this! I have food intolerances and I need to stop eating sugar and high carbs. I am having a hard time with the cravings. Hoping this will get me pass the cravings. I’m really excited (and a little nervous) about this challenge. I’ve never been good at sticking to a diet but really want to start a healthier lifestyle. Thanks for all you do! We are SO EXCITED to have the Nourishing Home community doing the Whole30! Can’t wait to see how your 30 days go. Good luck to all! I’ve been looking through the info, and I’m sure it’s there, but I just can’t find it…what does Whole30 say about snacking? What kind of things should we have for snacks and how often should we be eating? Thank you! No worries. You made me smile. I so get what you’re saying and you know what, don’t feel bad about snacking the first week, the last thing you need to be is hungry. Just start working slowly to the three meals. You can do that by trying to eat more at each meal, particular more fat – I know that sounds odd, but it helps to control appetite, as does eating more proteins. 🙂 YOU CAN DO IT!!! I started the program on the 1st of Oct. and am thrilled with it. I have not had any problems at all except I’m just not hungry. I continue to try to eat 3 meals a day and add a protein, fat and lots of veggies. My energy level is up and I feel really great. I have kept it simple and not gone out much but will be heading out for a couple of meals this weekend and see how I do. I know I can do it. Wed. my husband had an appointment and after he finished he wanted to go out for ice cream. Since he knew what I was doing he said he did not want to tempt me. I told him it was fine I had to get adjusted to temptations. So off we went to DQ. He got a blizzard and I got a cup of water. We talked and laughed while he ate and I drank my water. I never wanted even a bite and had no problem at all sitting there with him eating in front of me. A few weeks back I could not pass DQ with out having to stop and have one of their latte drinks. I did not even have the craving for one of them. Something is working and I pray it will keep up. I have no medical issues that I need to address. I just want to loose about 50 lbs. and have not been able to do it. Those of you who have just started best of luck to you. Make up your mind and I repeat daily “I can do all things through Christ who gives me strength”, We can do this with his help. Well here I am on day 13 and still doing great. I can’t believe how good I feel and howuch energy I have. This is one of the best things I’ve ever done. Thanks for providing the meals and ideas. I’m starting a little late but better late than never! Kelly if you could also share some of your meal ideas I would sure appreciate it. I have been doing pretty good so far with different meals but would like to see some other exciting hints. My husband gave me one of the little gadgets that makes spaghetti from zucchini and squash. I have really enjoyed making that and having it with mushrooms and onions sautéed and put over it. Almost makes me think I’m really having spaghetti. Wish everyone a great evening and keep positive. We can do this!! I was looking at the Ready to Jumpstart your Health page and saw a couple of dishes that looked great but had rice in them. I thought rice was off limits during Whole 30? I’m excited to begin! My health has not been good for some time. I have low blood sugar, I know I must eat, but when I do I feel worse after, so, I don’t eat much, have lost so much weight, feel weak etc. This will be difficult to do because of my workplace, the temptations are real bad! Also, I have no family or friends that will support me on this. I won’t be able to start until next Friday, payday, but will prepare now!!!!!!!!!!! Think this program will help you a lot. I’m on day 19 and it has not been hard at all. I keep remembering what was said in the book and on the wed site…….having cancer or having a baby is hard but having your coffee without cream is not. I’m not a coffee drinker but every time I think of not being able to do this I reflect on that statement. Good luck and keep us posted on your progress. Thank you ladies. My friend Karen may join me, an added blessing!. My fridge, freezer and pantry, all cleaned out. It actually looks quite bare! Until I can restock, its ok. I have to tell you in just 2 days of the whole 30, I enjoy eating! I cannot tell you the last time I felt this good. No bloat, shortness of breath, headache, nausea or sleepiness after I eat. A flat tummy :):) I used to dread mealtime, not anymore. I am loving the recipes! The only part that is time consuming is prep time. But it is so worth it!!!!!!!!!! I have joined y’all on fb! Would water kefir be a no no on the whole 30? I usually like to do a second fermentation with organic fruit juice, lemon/lime with crystallized ginger or vanilla. The first fermentation is usually 48 hr, second fermentation is 24 hrs. then it goes in fridge. I am starting the Whole30 on Sunday. I need to print the meal plan, shop and clean pantry etc. I have had it with feeling the way I do. Very poor health lately. It will not be easy for me, especially with the many temptations at work and home right now. Thank you! I sure will join on fb!!!!!!!!! I will need all the help I can get. I know in my heart, it is what I need to do to get better. I want to start the Whole30 challenge – I am already cutting gluten, dairy, and sugar (mostly) from my diet, and I have fibromyalgia, chronic fatigue, as well as other issues that make it clear to me that my body needs a detox in a major way; BUT I strongly disagree with the idea of only having three meals a day. I know you said you had to have snacks in the beginning, but did you eat them the whole way through? I think one of the most important things we can do for our bodies is listen to them – I have gotten to know myself quite well over the last year or so, and I know that I do better when I snack a bit as long as they are healthy snacks. Some people are just not made for the three meal a day plan. Yes, Molly. I agree with you – we need to listen to our bodies and if we are hungry we need to eat something nourishing. The worst thing someone can do is go hungry for numerous reasons, particularly because it sets you up for failure. I still have an afternoon snack because I simply cannot go from lunch all the way until dinner without some sustenance. So as you begin your Whole30, do not feel bad about having to include a healthy snack or two. Many people find that they can eliminate the mid-morning snack by eating a larger breakfast, but some cannot. I am not one who believes that there is one perfect way of eating healthy that everyone should follow. Instead, I believe that by removing problematic foods (that are unique to your particular health issues) and by centering our diet on healthy whole foods, we can improve our health. The reason I believe Whole30 is a great starting point, is because it is a very nourishing elimination diet that allows people to begin to detox from the processed food diet and work toward uncovering which foods may be problematic for them. 🙂 Best to you! And please know we’re here to support you! Thank you for your response Kelly! When I first looked at the Whole30 website I was totally ready to jump on board, but, like you, I am not one to think there is one answer for every body. I like your view of it being a great starting place for an elimination diet. That’s what I think I am going to do for now and in a month or so, if health issues haven’t started clearing up, I am going to dive into the deep end and do the gut healing diet. I take some elements from that already. I am grateful to have found a source of support outside of the Whole30 website! My whole family has done whole30 twice a year for the last 3 years. Each time we retain better ‘tastes’ and habits in our regular food routine. We have 6 children ages 12 down to 1 and they have all enjoyed most of the food choices, but I have had a couple of flubs along the way. Because of the children, we have not strictly followed the guideline about not trying to replicate ‘normal foods’ like pizza, but we have found many creative ways to make them still following the other protocols. I think the hardest thing for us has been finding the ingredients in our part of the country that are clean – especially meat, condiment fixins, and spices. The other hard thing is menus so thank you very much for all your wonderful work putting this together for us all! oh my gosh – im nervous! i have 5 kids and homeschool, and I dont need my husband to join me. How am I going to go it alone!? Thank you for the encouragement! You are a blessing to many. I’ve signed up for your whole 30 and look forward to seeing all your hard work. You are so welcome! I’m so happy you’ve decided to join us! 🙂 Thanks again for your kind words! I started Whole 30 Sept. 2014 and have had great success. I lost 45 lbs. and feel better than I ever have. I had no real medical issues just wanted to loose some weight. This has been the easiest program I have ever tried. I have been off the program over the holidays and noticed a few tummy issues coming up I had not dealt with since I started whole 30. So it’s back on the program for me. Keeping the weight off has not been an issue at all. Wishing all you that will be starting the program great success! Plan ahead is the key. I’m a sheep farmer and a chef for kindergarten and school, so I cook for kids from 1 years old to 16 year olds. When I had my older son, in 2014 I started to think a lot about added sugars in our daily diet and it has snowballed into nutrition being my no 1 hobby, I got rid of social media some time ago and now all my computer time (which I guess is shorter than most peoples now) goes into researching food. As a farmer I’ve always been interested in getting closer to nature, and the dream is to only eat what I myself produce, that dream is quite distant at the moment, as I’ve got two young boys, work full time and have some hundreds of sheep plus horses, dogs and chicken to attend to! But one day! Wow.. this turned out to be a lot longer than I intended as I just wanted to thank you for inspiring website full of good thought, good recipes and really good cheer. Thank you, I’ll be visiting regularly the next months! 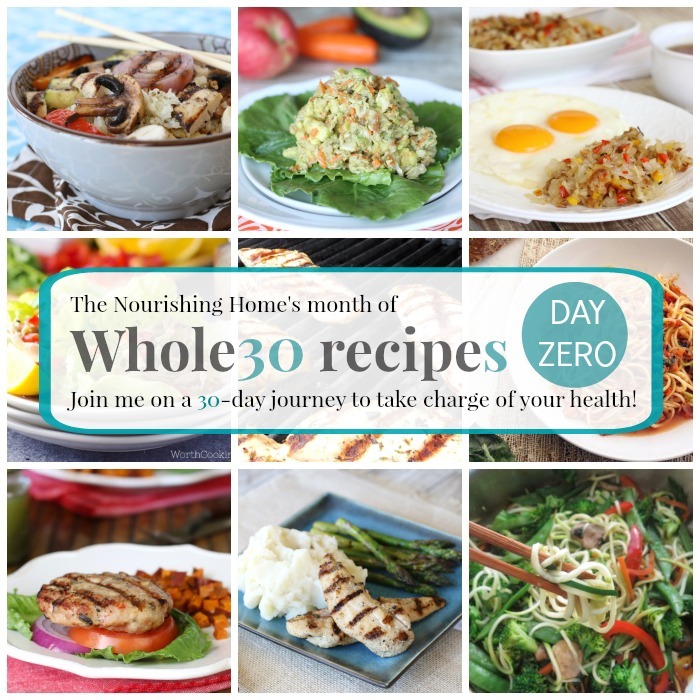 I am so excited to launch a Whole30 Challenge on my blog. Our family did our first Whole30 last January when I first read about the program on your site (which I gush to everyone about). My plan is to do a Novemeber Whole30, which I know sounds crazy with Thanksgiving, but my thought and prayer is that participants will be inspired to face holidays with a clean, real food start. I plan to host a local/community monthly gathering in my home during the November challenge where we exchange Whole30 recipes, maintain accountability, share fears/frustrations/joys, and forge friendships. Thanks for the inspiration to do an unconventional challenge. I am super excited and scared to start this. Many years ago I followed the P90X food plan and was SUPER committed and had success on it. However, we did give ourselves a reward meal, Sunday, and would eat whatever for dinner. This plan, you cant do that. Something else that I will be dealing with that I didn’t with the P90X Plan is that I am working and we have a co-worker that will bring food for the office. Super yummy dips and all kinds of bad stuff. :/ So, I have to keep my focus for sure. Maybe I just stay of the break room? Pray for me! I start Jan 9, 2017. Getting all my food ready with weekend!